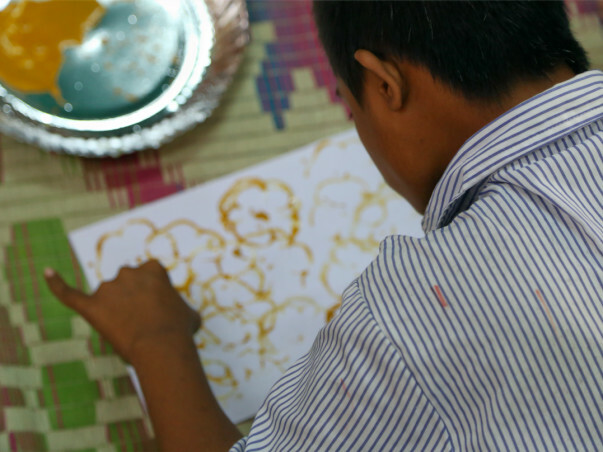 Support Special Education Through Art ! Special children often get scolded when they fail to retain academics they learn; their poor grip and poor eye coordination become biggest hindrance in a simple task they try to execute. All noted challenges are not really understood by the parents living in the slums of Mumbai, they simply declare their special child incapable and discontinue their schooling. To address problems which are a major hindrance in learning process of child such as poor eye-hand coordination, hyperactivity, limited sitting span, challenging cognitive level, Urmi Foundation implements Art Therapy with special children addressing noted challenges. Art Therapy is a combination of fine art methods like clay, coloring, craft, story telling, and music, designed in such a way that it impacts challenging areas of children in a fun way consequently resulted in to greater academic impact and socio-personal skills. For the last 4 years we have been designing and implementing Art Therapy with children having intellectual disability such as Autism, cerebral palsy, Down’s syndrome, and other developmental disabilities. We specifically work with children from underprivileged background, living in the slums with poor support systems. This year we have partnered 10 special schools where we will be implementing Art Therapy with 100 most challenging special children. Art therapy’s impact assessment tool gives accurate reflection of the child’s growth both qualitatively as well as quantitatively. In the year 2015-16 children showed 78% growth, which impacted their academics and socio-personal skills. The therapy showed significant impact and many children are now independent and will no longer need therapy. What do I plan to do with funds? 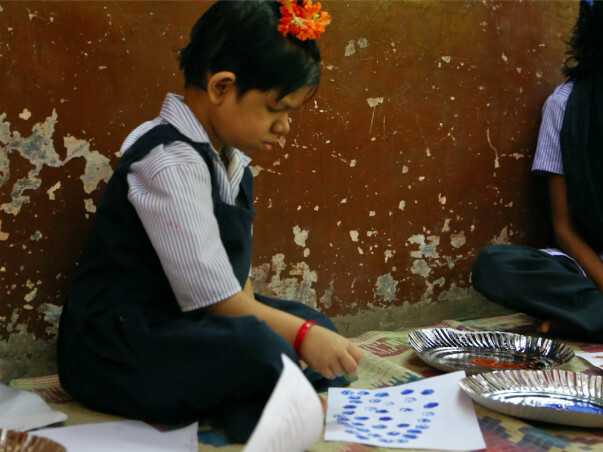 The Art Therapy project will support 10 Special schools partnered by Urmi Foundation, will impact 100 children to improve their academic performance and personal skills. The raised amount will be utilized to purchase therapy material, assessment tool and intervention of skilled and experienced personnel. 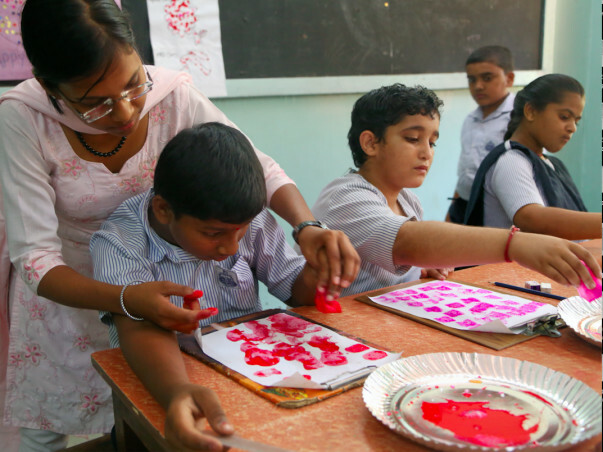 Urmi Foundation is currently providing Art Therapy to special children in 6 government schools and 4 community schools In Mumbai. Thanks to your contribution, the foundation has managed to arrange for auditory, visual and tactile integration kits for children. These kits contain anything ranging from audio stimulus to textured paper and even colours, intended to incite responses from these children. In the past few months, these schools have noticed a 65% enrollment rate on an average. Therapies used by the teachers have resulted in reduction in hyperactivity and increase in cognitive function as well as reactions from the enrolled children. Storytelling is also a regular part of their activities. “Since therapy is a long-term process, the teachers are hopeful that children will develop better skins and cognitive functions over time. Tools made available due to funds from Milaap have greatly helped aid the teaching process,” says, Sonalee from Urmi Foundation. They thank you for your contribution and urge you to continue supporting their efforts to help special children. Keep up the good job. May God bless all. God Bless you and the little souls you help!